After taking a break after the majestic success of his directorial debut 'Second Show', Sreenath Rajendran is back in business with his latest venture. The movie titled 'Koothara' has already created huge buzz for a number of reasons. If the movie had generated anxiety in the initial stage for its daring title and unusual star cast, the later phase truly pulled out the eyeballs due to the dashing looks of Mohanlal. The movie is set on the backdrops of a campus and a shoreline. After an interesting engineering campus life, three engineering enacted by Bharath, Sunny Wayne, Tovino Thomas were forced to leave the college due to their grisly activities which irritated the authorities. They decided to leave their native place and finally lands in the hands of Columbia (Mohanlal) alias Usthad Ali who runs fishing boat service. The presence of Columbia brings a lot of changes in the life of the youngsters. Rest of the story creamed with thrills and humour delivers a visual treat for the audience. Srinath Rajendran had taken much pain and pressure in bringing a complete transformation in the making of the movie. 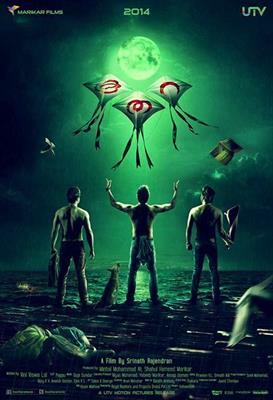 Being one of the most hyped project of the year muscled with actors, 'Koothara' was shot at Calicut University Institute of Engineering and Technology, Thenhipalam while the other scenes were shoot at Calicut, Ernakulam and Lakshadweep. 'Koothara boost of having Bhavana, Janani Iyer, Gauthmi Nair, Shritha Sivadas and Rima Banerjee in the cast. It will also mark the comeback of Ranjini who would do a prominent role co-starring with Mohanlal after a gap of 23 years. Rima Banerjee will essay the role of Shaista, an NRI while Shritha Sivadas plays the character role of Shipla, a simple village girl paired opposite Sunny Wayne, who plays a college student. Scripted by Vini Vishwa Lal, this movie is produced by Shahul Hameed Marikar and Minhad Muhammed under the banner Marikar Films. Babu Raj, Urmila Unni, Sasi Kalinga, Sinil Sugatha and Ranjini will give life to other prominent characters in the movie. For the lyrics of Engandiyoor Chadrashekaran, Hari Narayanan and Manu music is being set by Gopi Sunder. As the shooting of the movie has completed, after the final cut, 'Koothara' would reach theatres in June 2014. Aadu malayalam movie to be directed by Midhun Mannuel Thomas will be clean entertainer which could keep the audience intact. Scripted by Midhun himself, the movie will explore the fun and danger that await a group of friends while on a trip. The movie is being produced by Sandra Thomas and Vijay Babu under the banner Friday Film House. Young musician Shaan Rahman and cinematographer Vishnu Sharma will join Midhun for his directorial debut. Read more about the upcoming movie 'Aadu'. Aadu Padam malayalam movie to be directed by Dileep G. J will be having an young cast along with a goat on the prime frame. The movie would be a complete entertainer creamed with humour at its best. Written by S Suresh Babu, the movie is being produced by Satish B Satish under the banner 'Ordinary Films'. After the final cast, the movie will start rolling from 1st May 2014. Read more to know about 'Aadu Padam'. Njan malayalam movie to be directed by Ranjith will have Dulquer Salmaan in lead. Based on the novel 'KTN Kottor, Ezhuthum Jeevithavum' written by T P Rajeev, the movie will start rolling from this march itself. The story is set in the backdrop of India's freedom struggle which depicts the history of a Kerala village. There will be three heroines in the movie opening opportunity for fresh faces. The book nick named as 'Magical History' was released in November 2012. Read more about the movie 'Njan'. Oppana malayalam movie to be directed by Aashiq Abu will have Rima Kallingal in lead. The theme of the movie has been inspired from a one minute malayalam rap song titled 'Mahile Penungale Kandukka' which became popular among the smartphone users. The music of the movie will be composed by Bijipal. Scripted by Venugopal Nair, the movie will start rolling after the finalization of the cast. Read more about the movie Oppana. Premam malayalam movie to be directed by Alphonse Puthren will have Nivin Pauly in lead. Alphonse who made his directorial debut with 'Neeram' is excited to work with the same team who had lent their support for his previous venture. The movie will be produced by Anwar Rasheed under the banner Anwar Rasheed Entertainment. Young film maker Jude Antony is doing an important role in the movie. Alphonse is in search of two fresh faces who could do justice to their characters. Read more about 'Premam'.